CLICK HERE if you are coming to our new site for the first time, you will need to update your password before logging into your account. 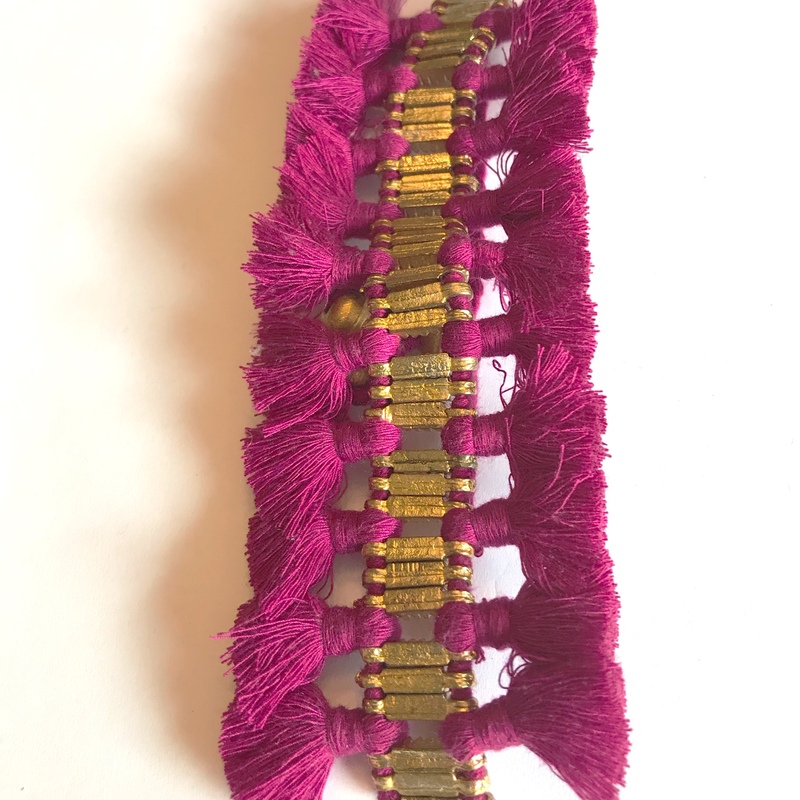 Starting with brass pieces and thread, this bracelet is handwoven beautifully into a lovely piece. 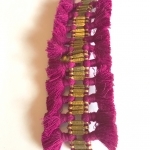 Featuring two rows of tassels on each side of cast brass pieces, this cuff will step up any outfit. This bracelet is handmade by working women across the globe and we are proud to support them. This bracelet features an adjustable sliding bead to fit most wrists. Measures 2 inches wide. All photographs, content and images are the intellectual property of AudreyDurden.com and may not be used without our consent.